Sometimes depression doesn’t need a reason to hurt oneself or to commit suicide: But, suicide only leaves behind pain, guilt and agony for family and friends. The wounds suicide leaves in the lives of those left behind by it are often deep and take time to be healed. 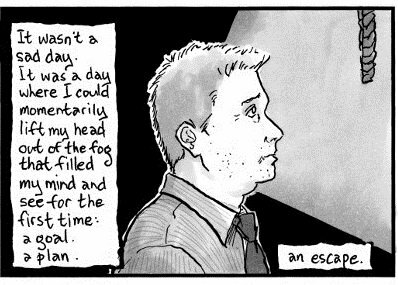 It’s painful to know that people living with mental illness think about suicide as the only way out of their problems. 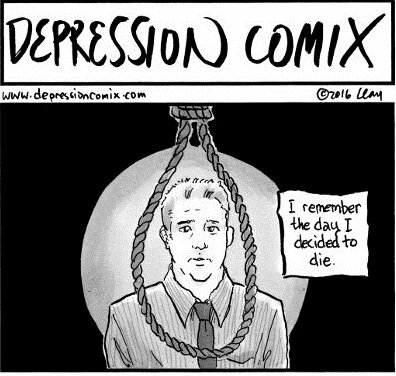 Below is a thoughtful comic about the need not to choose suicide as an option: the powerful comic was created by Clay Jonathan of Depression Comix. Please, go through and ensure you share this across as awareness.